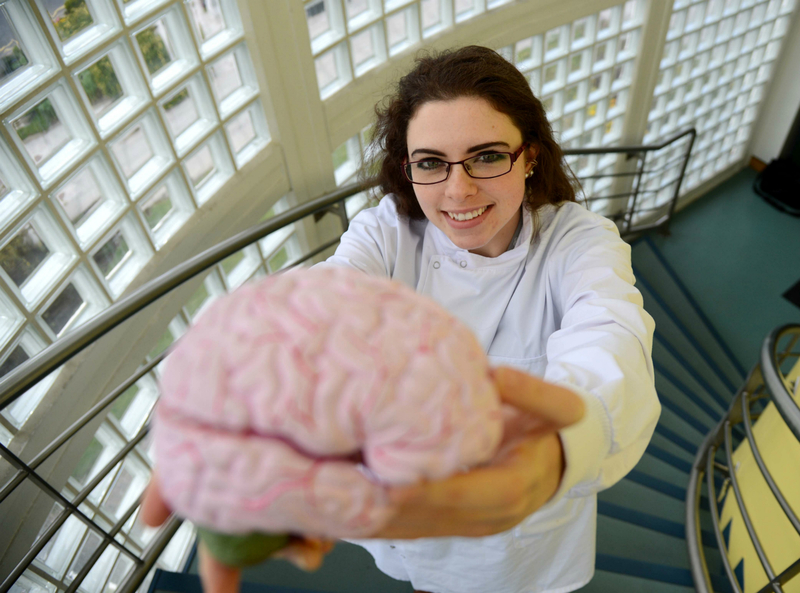 The Dublin Brain Bank, established in 2008, provides neuroscience research tissue to different research groups in Ireland and further afield. Scientists at Trinity College Dublin have shed light on a fundamental mechanism underlying the development of Alzheimer’s disease, which could lead to new forms of therapy for those living with the condition. Alzheimer’s is the most common form of dementia globally and affects up to 40,000 people in Ireland today. It is the fourth leading cause of death in individuals over the age of 65 and it is the only cause of death among the top ten that cannot be prevented, cured or even slowed down. The condition is classically associated with memory loss. However, other symptoms and warning signs include difficulty performing familiar tasks, problems with language such as forgetting phrases or words, and changes in mood, behaviour and personality. The research, published this week in leading international journal, Science Advances, was supported by Science Foundation Ireland (SFI) and the US-based charity, Brightfocus Foundation. Alzheimer’s disease is characterized, in part, by the build-up of a small protein (‘amyloid-beta’) in the brains of patients. Impaired clearance of this protein appears to be a major factor in the build-up of plaques, and then in the disease process itself. While the mode by which amyloid-beta is cleared remains unclear, it is evident that it needs to be removed from the brain via the bloodstream. Unlike blood vessels anywhere else in the body, those in the brain have properties that strictly regulate what gets in and out of the delicate tissue – this is what is known as the blood-brain barrier (BBB). The BBB functions as a tightly regulated site of energy and metabolite exchange between the brain tissue and the bloodstream. “We have shown that distinct components of these blood vessels termed tight junctions are altered in Alzheimer’s disease. We think that this alteration could be an entrained mechanism to allow for the clearance of toxic amyloid-beta from the brain in those living with Alzheimer’s disease,” said postdoctoral researcher in Trinity’s School of Genetics and Microbiology, Dr James Keaney, who spearheaded the study. Working with the Dublin Brain Bank, which is based in Beaumont Hospital, the researchers from Trinity examined brain tissues of individuals who were affected by Alzheimer’s disease during their lifetime and then compared results to those observed in model systems in the laboratory. A number of scientists collaborated on this study. These included individuals from the laboratories of Dr Matthew Campbell, Professor Peter Humphries, Trinity’s Smurfit Institute of Genetics, Professor Dominic Walsh (Harvard University) and Professor Michael Farrell (Consultant Pathologist and Director of the Dublin Brain Bank at Beaumont Hospital).